Steve loves skiing, enjoys travelling and has ski and teaching experience across Europe, USA, Canada, Australia and Japan including 7 seasons of teaching. Bringing a variety of knowledge from multiple countries enables him to explain everything in a way you’ll easily understand. 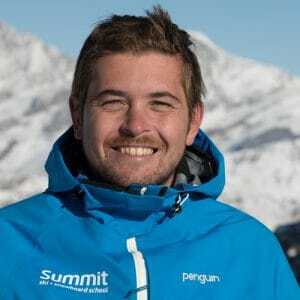 He was the youngest British skier to have received full certification (level 4 – the highest Australian instructor qualification) at the age of 21. Having regular clients ranging from the age of 7 to 65, has enabled him to see that you can’t put an age limit on enjoying the mountain and skiing! He’s found his vocation, having wanted to be a ski instructor since his first ski holiday at the age of 8 and is excited to show people of any age or background how fun the mountains can be. I come from a coaching background, helping people to improve is my first love! 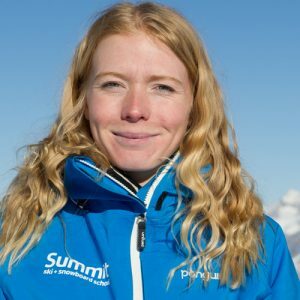 My lessons are tailored for you – Ski for fun? technical improvement? At 6″4 you won’t lose me on the hill!